A new love story shared online is a testimony of how powerful the internet has become and the positive impact it has made on lives, as social media continues to play the match-making role in the lives of people. The couple met on Twitter after she sent him a DM concerning a business trip. Social media has continued to play the match making role in the lives of people and this couple's love story is no different as they too, just like many others, met on social media. 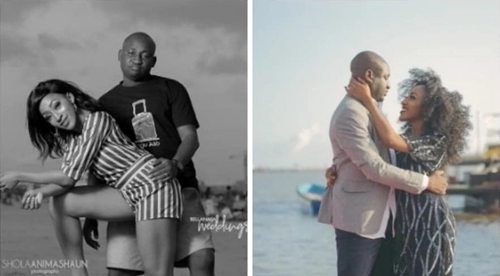 A young Nigerian couple, Tolulope and Ademola, have Twitter to thank for, after the social networking platform brought them together as they are set to walk down the aisle. It all began when Tolulope sent Adedamola a DM on Twitter asking about an upcoming trip his business was advertising. However what seemed like an innocent conversation about a business trip grew into something beautiful as the two took a liking for each other. After the chat, the couple begin to see each other, one thing led to another and the happy couple are now all too excited as they prepare to walk down the aisle. While speaking to Bella Naija, Ademola shared the story of how it all began: "I run a digitally driven tour company. One day, Tolu came to make enquiries about an upcoming trip in my personal DM on Twitter. Her opening conversation was, ‘Hi Damola, I think I’m interested‘. "This gave me the opportunity to tease and create some humour. Also, it wasn’t my official account. I quickly responded ‘interested in the weekend getaway, the Kajuru trip or becoming Mrs. Damola, or interested in dashing me money’. That set the tone of the conversation." Ademola revealed that his proposal wasn't a public one as she is a very private person. "Since Tolu is a private person, I decided to do it privately. She had closed from work on this very special day and returned home. "I made my way to her house, met her in the bedroom and while we were having a conversation, I went on my knees. Now the rest is history."